– Ethiopian Athletics Federation head Haile Gebrselassie talking to Reuters about how drug cheats in Ethiopia will no longer be able to represent their country in international competition. Is 44 too old for running to be your life? NCAA indoor 5000 leader Marc Scott of Tulsa (13:38) just ran a 29:33 10k road race - Is this an NCAA violation? LRC Men’s 1500/Mile: Olympic Champion Matthew Centrowitz Is Our World #1 Asbel Kiprop may have run the world’s fastest time by over a second (3:29.33) and won four Diamond League races, but for the first time since 1971, an American man is the #1 ranked miler in the world as we can’t pick against a near-perfect season from Centro that included victories at World Indoors and the Olympics and a world-leading time in the mile (3:50.63). 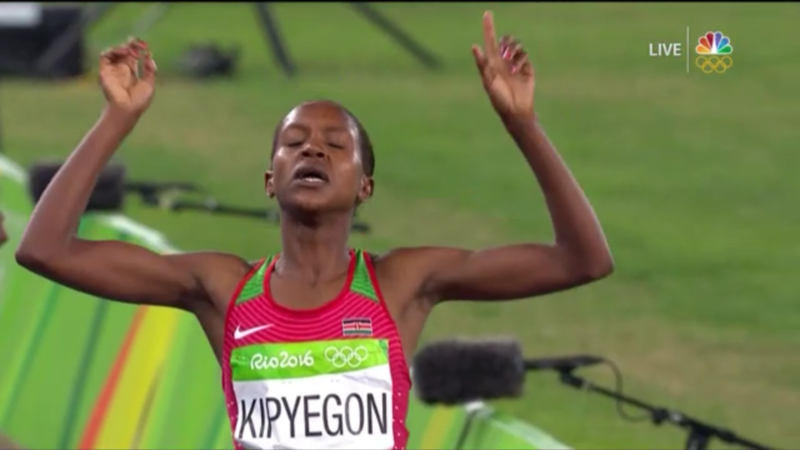 LRC Women’s 1500: Faith Kipyegon Unseats Genzebe Dibaba as World #1; Jenny Simpson Back on Top of U.S. Rankings Kipyegon broke the Kenyan record twice this year, won the Olympic title with ease and became just the second woman in history to break 3:57 three times in one year. 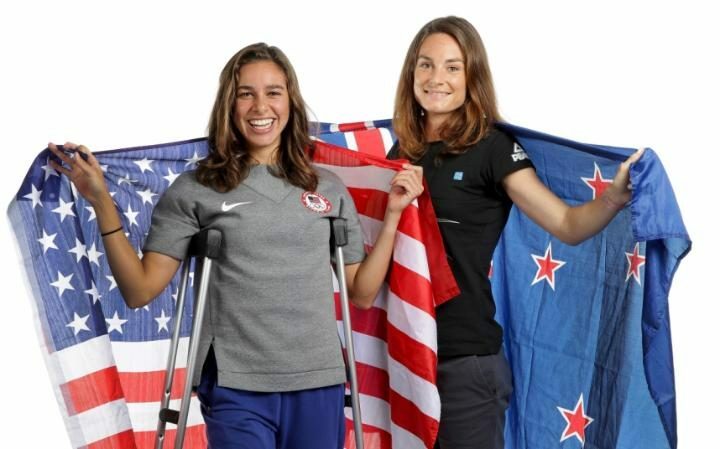 Last year, Simpson’s medal chances went up in smoke when her shoe came off in the WC final. This year, with her shoes on, she took bronze in Rio. 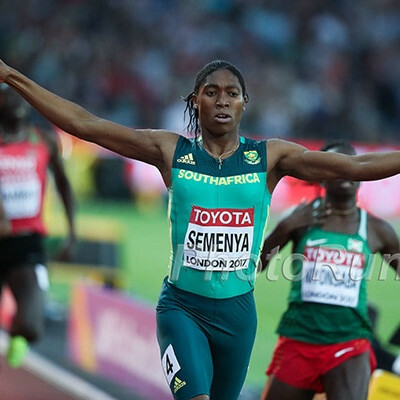 LRC Women’s 800: Caster Semenya Is the Clear World #1; Kate Grace Finishes A Shocking Year As U.S. #1 There may be a debate about whether Caster Semenya should be allowed to compete, but there was no debate about who the best women’s 800 runner was in 2016. American Kate Grace returned from injury with a career year, fulfilling her “dream, dream goal” of making the Olympic final in Rio, but was that enough to crack our world top 10? LRC Men’s 800: David Rudisha Is On Top For 2nd Year In A Row; Olympic Bronze Medalist Clayton Murphy Leads The Americans The greatest 800 runner ever is our pick for #1 again. There are two Americans in the top 10, but where do Murphy and World Indoor champ Boris Berian rank against the world’s best? Athletics Weekly‘s Rankings: Top 3 International Rankings For All Women’s Events You can see their top 10 rankings by purchasing a digital copy of their bumper 112-page end-of-year stats special. Jeff Benjamin’s offers a humble solution to ‘Eugene fatigue’ for 2020 U.S. Olympic Trials – Hold it in NYC We 100% agree and think it’s absurd that every major meet is held in Eugene. Olympic champ Omar McLeod will face Jason Richardson at Millrose Games The meet is Feb 11th this year. Russia Sort Of Confesses – Or Does It? Hold On: Kremlin Responds By Saying It Wants To Check Veracity Of Russian Official’s Doping Comments In NY Times “We are not inclined to consider this information as first hand,” as they want to confirm the quote and check the context of the quote. A Recap Of The Many Boxing Day Races In England The biggest news from a US perspective was that NCAA indoor 5,000 leader Marc Scott of Tulsa (13:38) ran a 29:33 10k. LRC Scandal? Rigged!? LetsRun.com’s Jonathan Gault Wins LetsRun.com Running Warehouse XC Prediction Contest Insiders dominated the RunningWarehouse prediction contest as in addition to Gault’s win, a guy coached by Karissa Schweizer‘s grandfather won as well. Another winner wrote one of the greatest emails we’ve ever received. 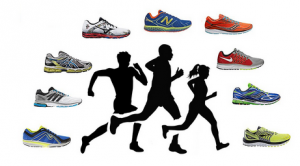 Athletics Weekly Says There Is No Reason To Complicate Your Training – Keep It Simple As The Guys In The 1980s Basically Ran As Fast As People Are Doing Today Run 100+ with two hard workouts and you are pretty much set. 10 Gifts Every Race Director Would Love From plastic ties to port-a-lets, RW has you covered. Professor: Sports federations will face obstacles in sanctioning individual Russian athletes “I think what will be a problem is individual cases with individuals pleading I was forced to do it or I didn’t know how it was done,” said Dionne Koller, director of the Center for Sport and the Law at the University of Baltimore. US Distance Stars Share Their New Year’s Resolutions From do more yoga (Huddle/Linden) to write a handwritten note every month (Centro), RW has you covered. Runner’s World‘s 10 Most Read Stories of 2016 Game of Thrones fans, RW’s article on Margaery Tyrell‘s 3:51 showing at the London Marathon cracks the list. BBTM The Best Mile/1500 Moments of 2016 From Drew Hunter and Genzebe Dibaba‘s exploits indoors to Matthew Centrowitz‘s gold outdoors, it was quite a year. Andre De Grasse Selected Canadian Male Athlete Of Year Over Sidney Crosby And Derek Drouin De Grasse got 43 first place votes, Crosby (hockey) 18, Drouin (high jump gold) 2. Miruts Yifter, Inspiration To Haile G & Double Olympic Champ, Dies Yifter won 5,000 and 10,000 gold in 1980 and bronze in 1972. 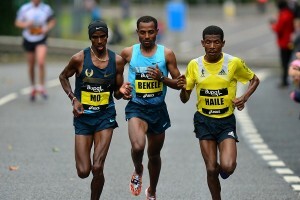 He was jailed upon returning to Ethiopia after 1972 and was a huge inspiration for Haile Gebrselassie. IOC Finally Acts After McLaren II: Opens New Doping Cases Against 28 Russian Athletes In Sochi Who Had Specimens That Were Tampered With Russian officials have also handed back hosting rights for the end-of-season World Cup finals in cross-country skiing. *Yuliya Stepanova’s Former Coach Will Challenge His 10-Year Ban “I don’t see why I have been suspended. 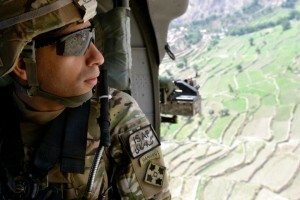 No-one approached me to catch me red-handed,” said Vladimir Mokhnev. Drug Testing Deters Doping, But Can Your Average Road Races Afford It? LRC WTW: Europe’s Teen Phenoms Appear To Be The Real Deal And Buzunesh Deba Breaks The Boston Marathon Course Record We look at foreign transplants, junior phenoms and note it’s been 975 days since an American went sub-2:10 in the marathon. We also discussed the ailing Miruts Yifter, the 1980 Olympic 5k/10k champ, who passed away on Thursday. Olympic 400h Champ Dalilah Muhammad Will Compete In Europe Indoors For 1st Time In 2017 At Birmingham’s Müller Indoor Grand Prix In Feb. The Birmingham meet is one of 5 meets that are part of the IAAF indoor tour. The series kicks off with the NB Indoor Grand Prix in Boston (Jan 28th) – the only US meet in the tour. Who Says There Aren’t Races On Christmas? Kurashiki H.S. Runs All-Time #5 Time To Win Its First-Ever National High School Boys Ekiden Title The Japanese high schools even have Kenyan ringers on their teams. Is One Of The Most Legendary HS Records In Jeopardy? Jordan Geist Breaks National High School 16-Pound Shot Put Record With Massive 68-4 He broke Ryan Crouser‘s indoor record of 63-11 by more than 4 feet and also beat Michael Carter‘s outdoor record. Could he possibly break Carter’s legendary 81-3 with the HS shot that has stood since ’79? 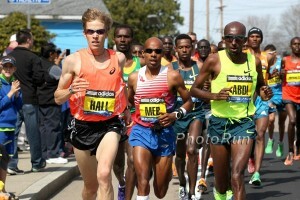 LRC Analysis LetsRun.com Breaks Down Galen Rupp’s Boston Marathon Debut – Will He (And Should He) Be The Favorite? How Well Suited Is He For The Course? + Conspiracy Theories Galore An American-born man hasn’t won the Boston marathon since 1983. That very well may change in 2017. In this LetsRun.com debate, the LRC staff goes back and forth about Rupp’s Boston debut. They start by debating if Rupp is the favorite but before it’s all over the venture into the conspiracy theory front: Is it possible that the Nike sub-2 attempt was created to water down Boston to ensure Rupp’s victory? 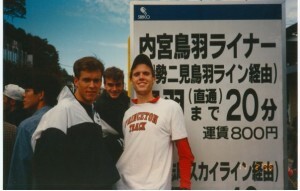 *MB: Galen Rupp to run Boston Marathon. He will need volunteers to hand him new hats throughout the race. *MB: Calling it now, Rupp wins Boston 2017 2:07:04, prove me wrong. Galen Rupp And Entire US Olympic Marathon Team Minus Amy Cragg Running 2017 Boston Marathon – Plus Jordan Hasay’s Debut Galen Rupp is running his first big city major marathon and it’s not inconceivable he will be the favorite to WIN the 2017 Boston Marathon (international field hasn’t been announced) as Meb runs his final Boston and Shalane Flanagan and Desi Linden go for Boston glory with Jordan Hasay making her debut.